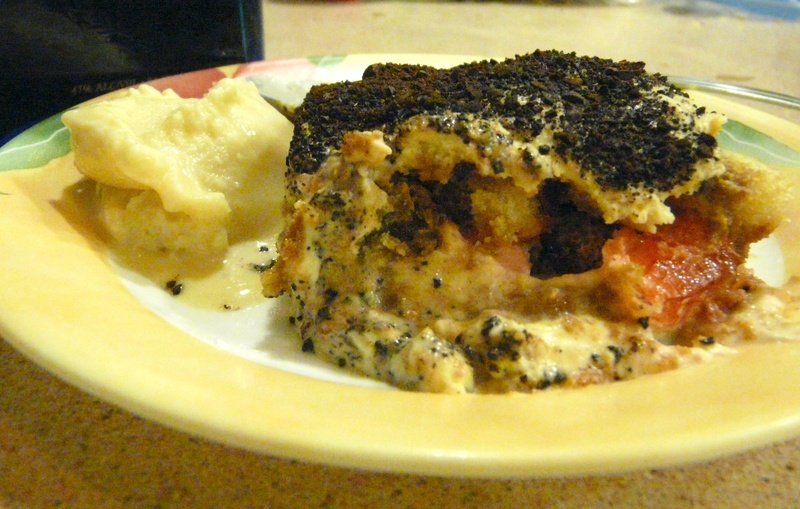 Terror-misu is based on the tiramisu recipe from Joy of Cooking: 75th Anniversary Edition – 2006 . 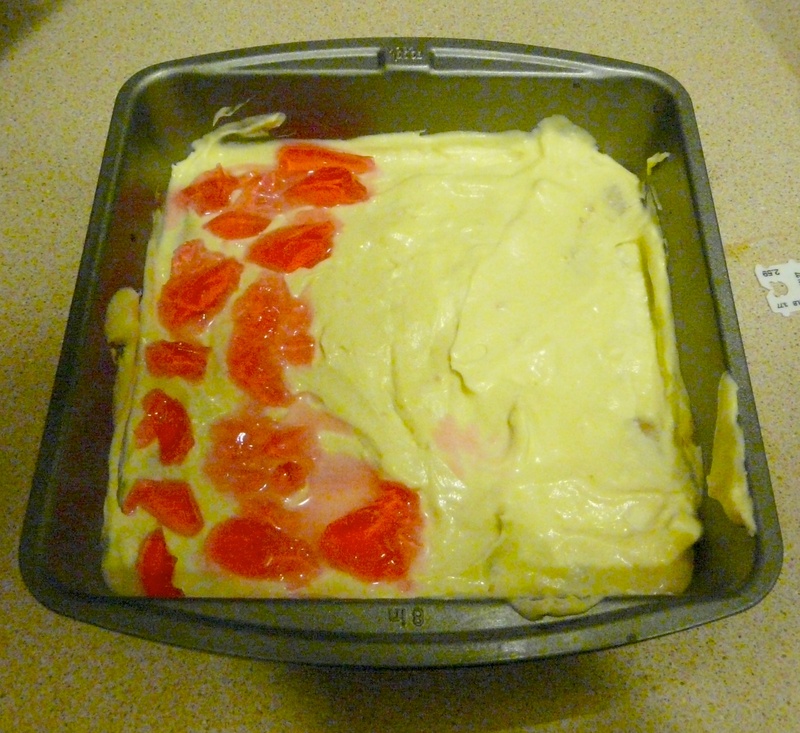 We added an extra middle layer of jelly made with a reduction of Cocaine energy drink. Then, instead of pouring coffee and Marsala wine over it, we used espresso and homemade Kona coffee-infused vodka. We replaced the chocolate shavings with espresso powder. We also made a tiramisu ice cream that you can find in The Perfect Scoop . Alex: It’s not what I’m used to in ice cream, and the terror-misu just tasted like good tiramisu. The crushed espresso beans were a good choice for the topping. Beth: It’s hard for me to tell how much it made me feel altered because I was already drunk on plum wine when I ate it. I do feel more alert now, and it was pretty tasty, but I hate anything gelatinized so we should try it again without the jelly. The espresso beans were a little too dry. We should maybe pulverize them or premix them with the cream. Cheryl: Very very tasty. I’m terrified by how much I want to eat this ice cream! I thought the jelly was pretty good, though it’s not like a traditional tiramisu. I don’t think the tiramisu was sufficiently terrorizing to get randomly checked by the TSA! That being said, my stomach feels a little bit special, and I can hear everything. Chris: It was pretty good. I’m pretty tired, so I just feel tired and buzzed, or that tingling you feel when you shouldn’t have had that last cup of coffee at work. Kristen: The ice cream was a little melted, so it might have been better as a cream. 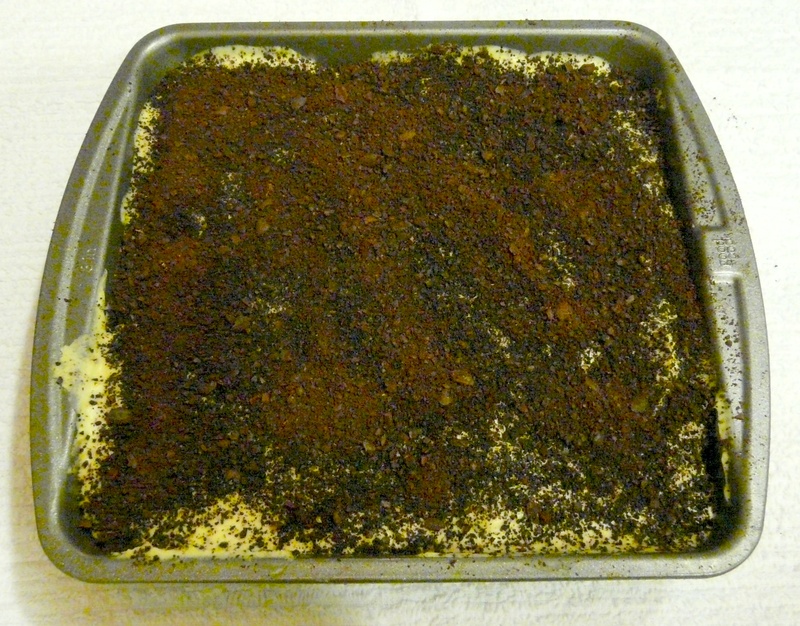 The ground espresso provided a good texture to the cream topping. Now that it’s been a few minutes, I feel somewhat caffeinated! I might be a bit of a lightweight!!! I think I should go do the dishes and then I’ll clean my room and then I’ll go for a run!!!!! Yelena: The terror-misu is delicious but I do not feel terrorized. Perhaps this is because I have a ricockulous caffeine tolerance.